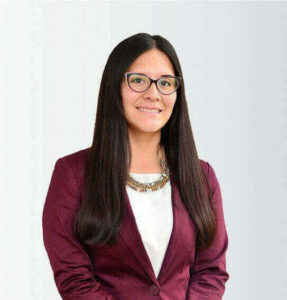 Julissa García Espinoza, or simply Juli, as she is called by her colleagues, is the legal counsel of Biz Latin Hub´s office in Lima, Peru. One of her strongest qualities is a continual thirst for knowledge in her field of work, and a genuine desire to improve as a professional. Julissa enjoys taking part in seminars at the Peruvian-British Chamber of Commerce. Having gained extensive professional experience in the private and public sector, Julissa joined the Biz Latin Hub Team in April 2015, starting as a legal assistant and developed into a fully qualified legal counsel that represents the firm proudly. Currently, she passionately supports foreign companies in fields ranging from natural resource extraction to gold commercialization to software providers. As well as her unwavering dedication to Biz Latin Hub, she lives a happy life being the mother of two children. She tries to enjoy the time with her family as much as possible. In her free time, Julissa enjoys reading books and is working hard to perfect her English by attending a language school. Her main hobbies include playing football with friends and dancing. Get in contact with Julissa and see how her team can support you and your business in Peru at [email protected].